You will receive all the benefits of a gold sponsor. Your logo will feature in the opening sequence. Your brand will be referenced in every one of our media outlets, interviews, functions etc. In addition your logo and name will appear in Cooking With Funi for the entire session, particularly as branding on Funi’s apparel, which will maximise TV air time value. You will be acknowledged as a sponsor on our website and we will place your logo on our website. Your logo will appear in the end credits. Your logo and/or name will feature during the TV show through a direct camera angle on your product and/or your logo. The TV series will feature your logo in each and every episode. 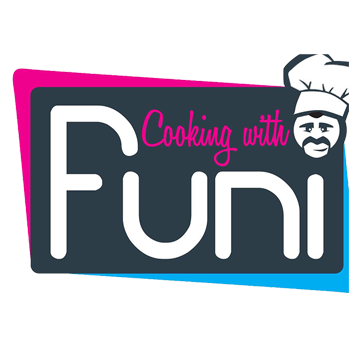 You can make use of Cooking with Funi whenever you choose, subject to availability at a reduced day rate. You are welcome to book him to come and present or make use of him to promote your product at any time for a period of 6 months. You must book him in advance. Your logo and/or name will appear during the TV show through a direct camera angle on your product or your logo.